Discussion in 'Birds' started by Jim Strathearn, Mar 31, 2007. 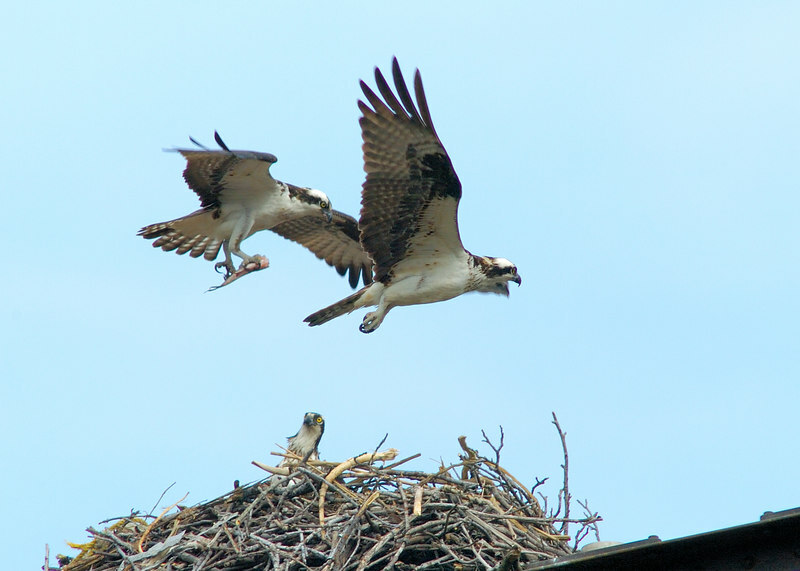 So, the weather guesser's say it's going to be sunny today so we get up before the sun does and get out to the Osprey nest. Yup, they lied again... Cloudy with just a minimal amount of light. But, we're there so we hang around a bit. Just before we decide to leave, I hear a commotion up at the nest and look up. 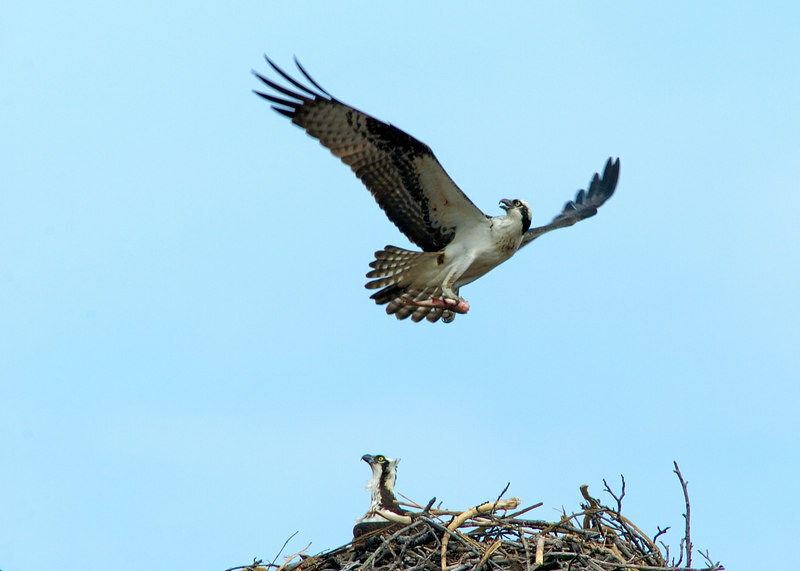 Another Osprey is trying to land in the nest. The resident male chases him (I think...) off and follows it out over open water. So, we hang around a little and sure enough, the intruder comes back. Here is a short series of spotting the intruder and guarding the nest until it leaves. 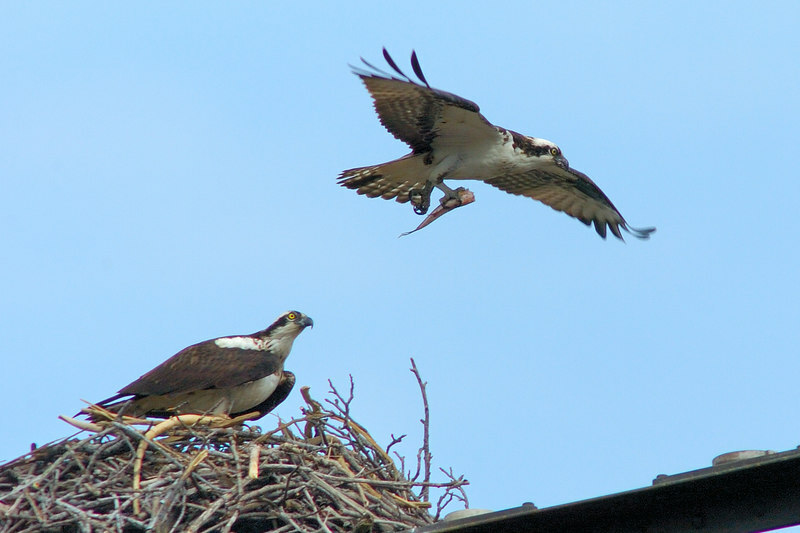 The male of the nest is the one with the fish. There was enough wind that he was just hovering there. Nice Jim! 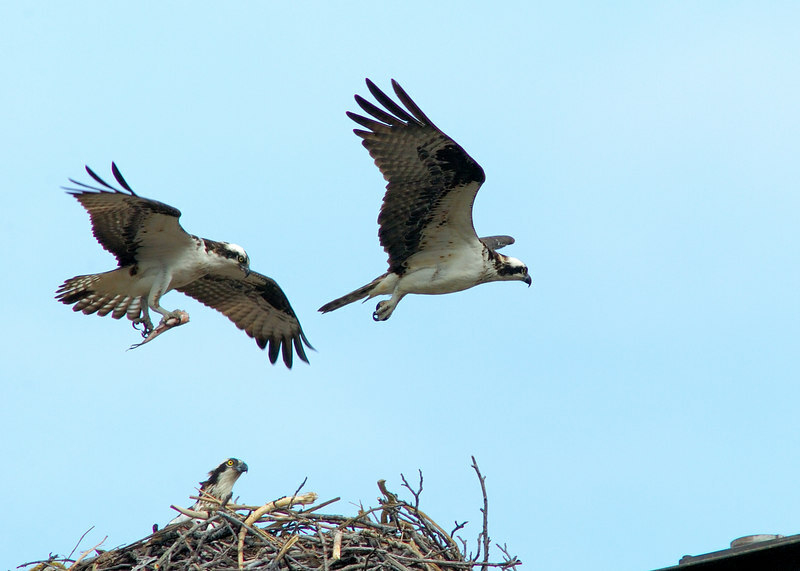 Aren't ospreys amazing and fun to shoot. Thanks Sandi. This is my first time shooting these guys and it's been quite interesting. Thanks Anthony! And yes, they are fun and amazing!